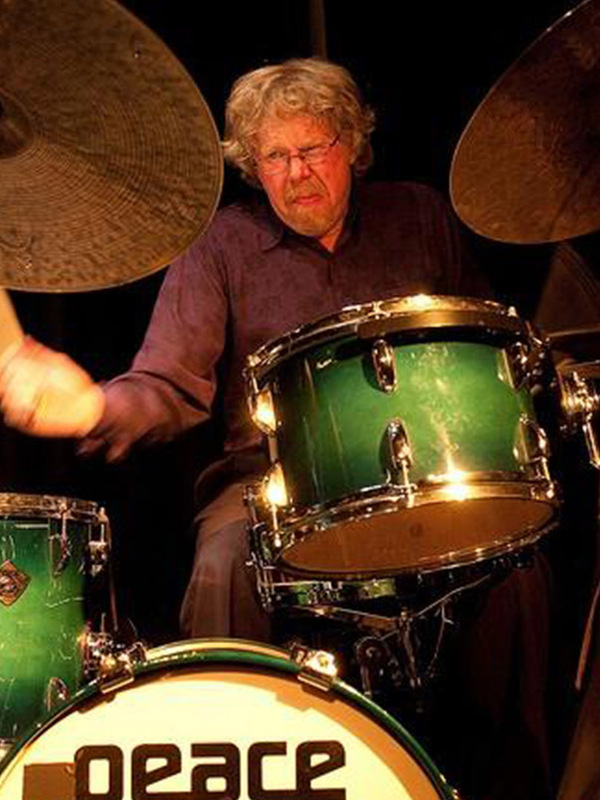 Long time resident Vancouver veteran jazz drummer Stan Taylor has played with several local and out of town players over a span of 21 years in the city he calls home. Hard driving and energetic swing with a flowing polyrhythmic melodic sensibility in an acoustic jazz ensemble setting is where Stan is at on the drums. Stan has played with a wide mix of jazz performers both local to international players from leading edge free style music to collaborating with many artist in modern jazz settings involving several Vancouver based ensembles over many years including the Bill Clark Sextet finalist in the Alcan Jazz Competition at the Montreal International Jazz Festival back in 1988. Here's a very musically diverse list of the international jazz artist i've performed with: Kenny Wheeler, PJ Perry, Vinny Golia, Pat LaBarbara, Ray Anderson, Rob Blakeslee, Fraser MacPherson, Mike Stern, Glen Spearman, Peter Brotzman, Hugh Fraser, Paul Plimley. Been involved in many other collaborations along the road in my musical journey such as my stint with the exciting, energetic and dynamic quartet the Kane/Taylor Explosion which also toured and performed in Canada and the US including a performance at the Tribeca Threatre in NYC with the Kokoro Dance company in the early 90's. Stan also received an honorable mention in the Canadian jazz drummer section of the Encyclopedia of Music in Canada for his drum contributions and group playing during the 80's. Current projects and collaborations involve the Jared Burrows Trio and Jared Burrows Quartet, West Coast Art Trio, Len Aruliah Quartet, ESQ, Kane/Taylor Explosion featuring Noelle Pion, Lorne Kellet Trio, East Van Jazz Orchestra, Shift, Norm Quinn's Q4, and many others. Stan is actively involved in recording and concert situations heading into 2010 as well as teaching private drum students. Stan is also a full faculty member of the South Delta Jazz Workshop and performer at the South Delta Jazz Festival. "I happily officially endorse PEACE DRUMS. My exclusive drums for concert performances and recording is a custom Peace Kahuna Nut Brown 9 ply bubinga jazz kit. One of the very rare drum shells being produced in the world today made entirely out of 100% African AA flame bubinga wood by PEACE DRUMS. Recently added a second Peace kit into the mix with some stunning sounding Peace X3 Aqua Marine Bee-Bopp 9 ply Canadian Rock Maple drums and a Peace 5/12"x14" phosphor bronze snare drum to my Peace drum family. Amazing sounding maple shell jazz kit combined with best sounding metal shell snare i've laid a stick on!"